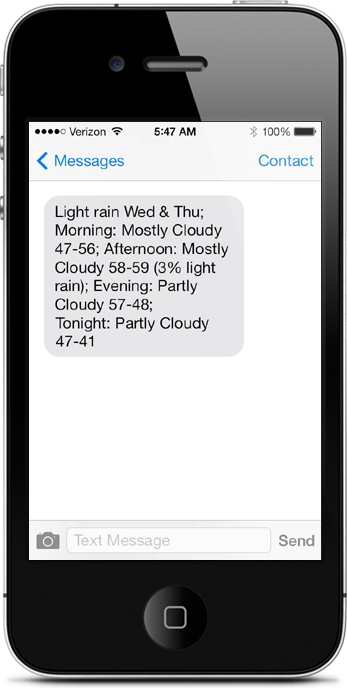 Weather Watcher Forecasts sends you a precise weather & precipitation forecast every day by text message. If you’re not satisfied for any reason, email me within 60 days and I’ll refund your purchase. No questions asked. Get daily forecasts by text message. Weather Watcher Forecasts will send you daily weather forecasts up to three times per day. Forecasts are available for locations worldwide. The weather data is gathered from 18 weather data sources and statistically aggregated together to provide the most accurate forecast possible for your location. 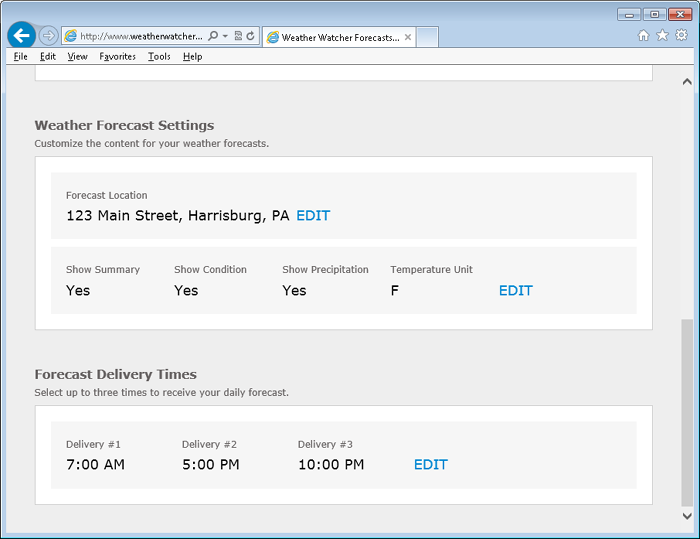 Customize your forecast delivery from the Weather Watcher Forecasts admin. Log into the Weather Watcher Forecasts admin website to change your forecast location or your daily delivery times. Help Privacy Terms Contact | Copyright © 1999-2019 Singer’s Creations. All rights reserved.